Are you ready for some football? We are almost there. Packed with action, entertainment, concerts, band and ice sculpting performances, variety of foods, ice cream and a whole lot more. With so much going on how can I sit still and do nothing. 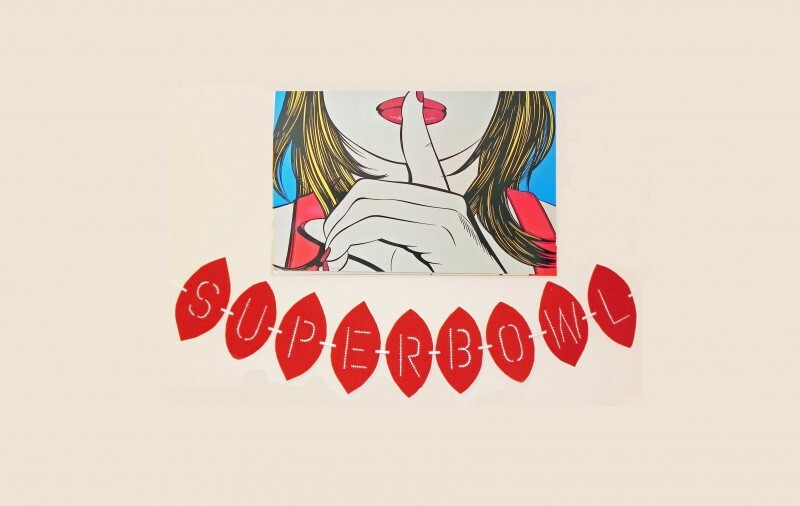 Everybody at your Super Bowl party will be asking you the recipe for this one of a kind, original DIY Super Bowl mega event party banner. 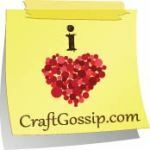 Most of the material list item you will get it from your local craft store or from Joann. It’s no brainer that the color of this banner has to be the same as the color of football. So I chose the fabric accordingly. Also each flag also has to be shaped like a football ball i.e. 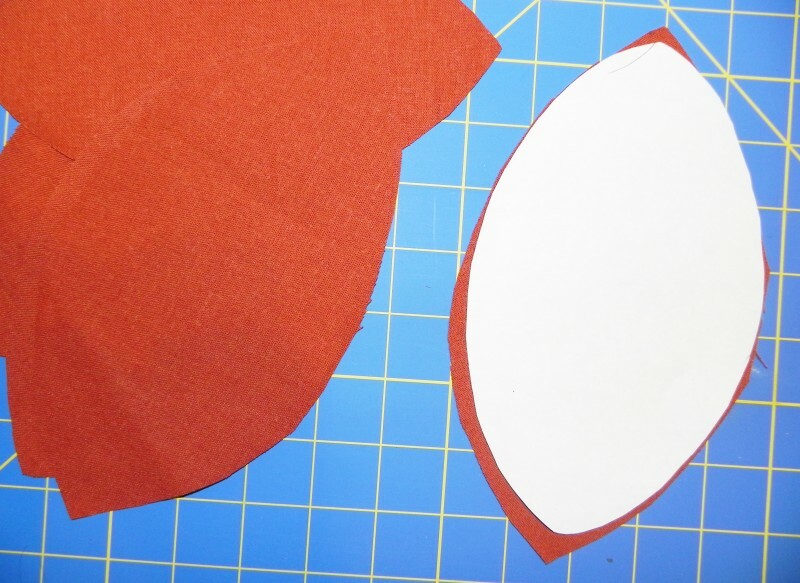 “Prolate Spheroid” (isn’t that cool?). 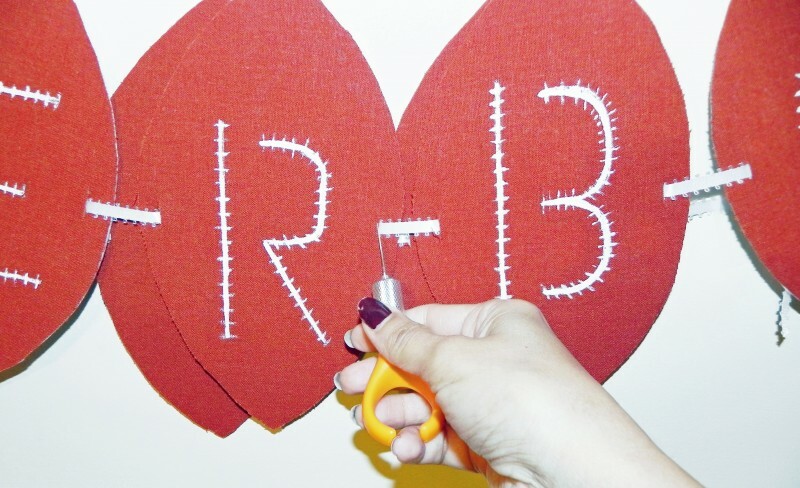 Step 1: Apply Iron-on backing on the back side of the fabric to strengthen it. 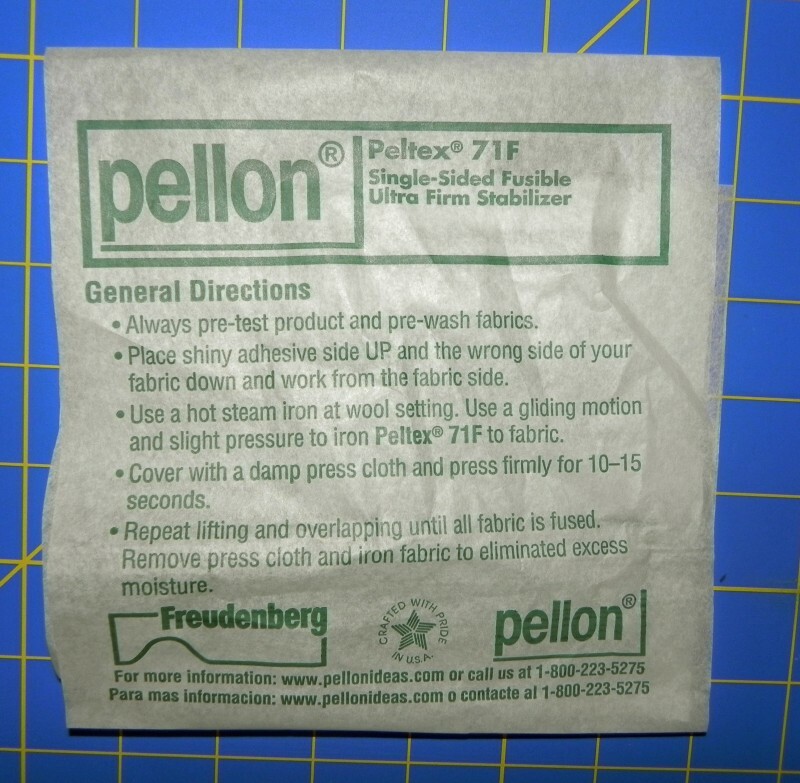 Step 2: Check procedure for using Pellon iron on backing from the picture given below. 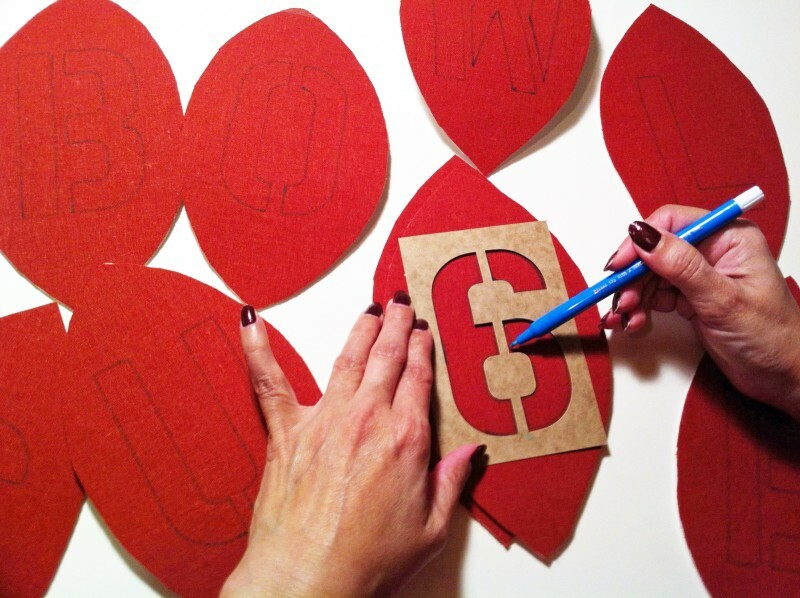 Step 3: Write on the flags with washable marker and pre-cut stencil. Step 5: Thread the Satin ribbon through needle, then poke lightly with the fabric knife near the top of the flag to make a small cut. Pass the Satin ribbon through the cut and repeat the same for all other flags. 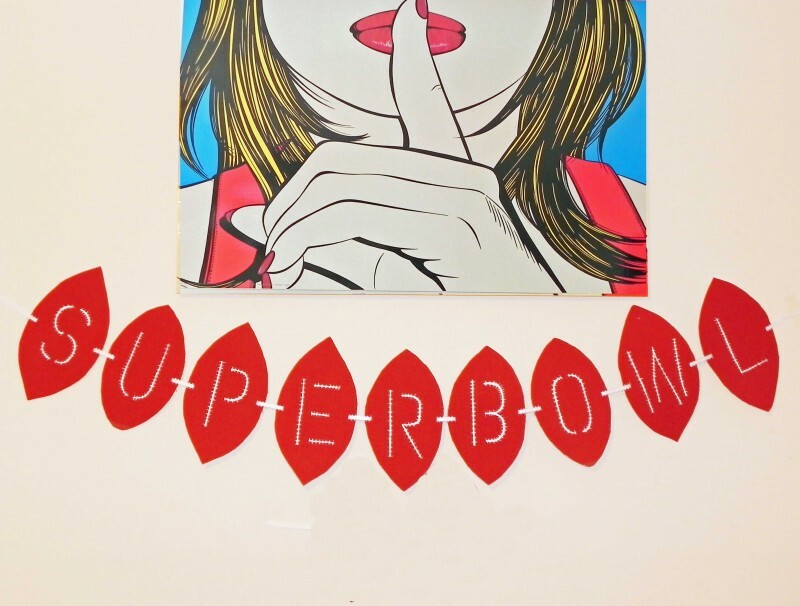 Our Super Bowl banner is ready, so let’s get ready for the game and party! !